Please note this property is fully recovered after the 100 year flood. A few changes to Hanalei, the pier area is still not repaired and you cannot drive and park there like you used to be able to. 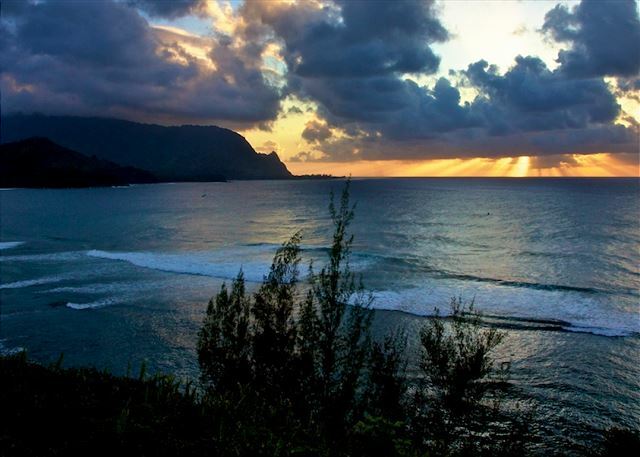 Be in Hanalei for a classic Kauai Experience! The birds eye view of the river makes this cottage a truly unique accommodation. 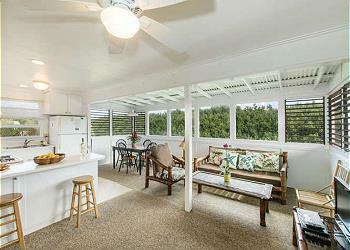 Cottage #3 is fully equipped with all the amenities you need to make your stay enjoyable. Stroll or drive two minutes to the beach at famous Hanalei Bay, enjoy multiple options for dining and shopping within walking distance. 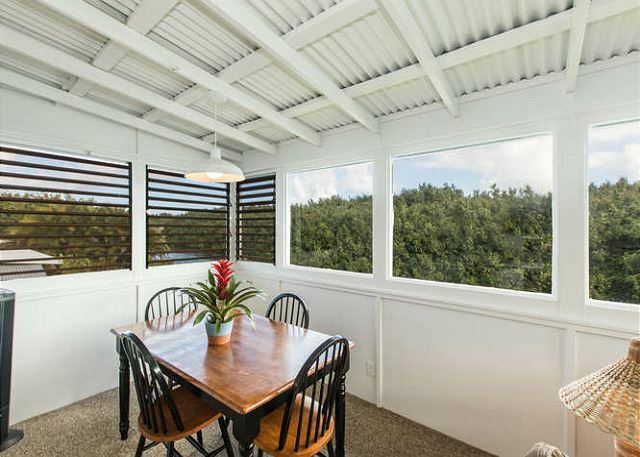 The well manicured grounds, classic plantation style setting and epic location makes this rental one of Kauai's most unique vacation rentals! 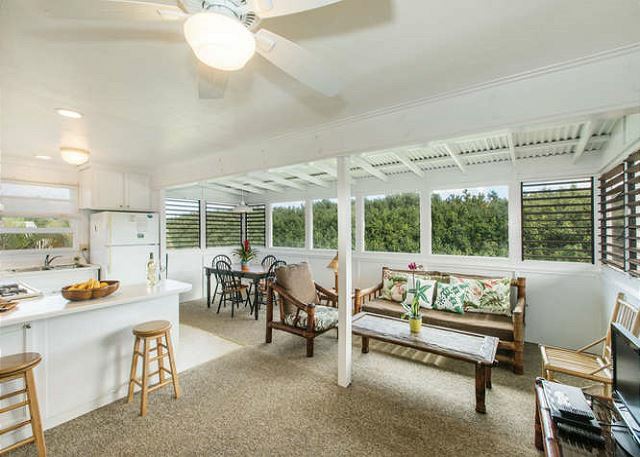 This two bedroom, one bath, includes two queen size beds, a fully stocked kitchen, ceiling fans in each room, a private outdoor shower with hot water, as well as a washer and dryer. There is also a gas bbq, stereo with iPod docking station, LCD TV, DVD, cable, wireless internet, and sleeps four. I have stayed there before and will probably stay there again. This time though I wish there wasn't all the construction noise from the cottages next door, especially the music from the workers. We really enjoyed staying at Dolphin Cottage - it was great to be able to walk into town, and the setting is lovely and relaxing. Downsides were the noise from construction at Cottage #4 and the noise of restaurant staff leaving when they finished their shift but overall, I would thoroughly recommend it! We stayed here for 8 days for our Honeymoon. I was very homey and had everything we needed during our week's excursions. The washer/dryer and the hose came in clutch after long hiking trips (very muddy trails). It has a grill which we took advantage of. The outdoor shower was perfect after a day at the beach. It had big windows, we looked out over the river and watched the kayakers go by. It was clean and had plenty of towels (bath and beach). Mike G. was the attendant at the property. 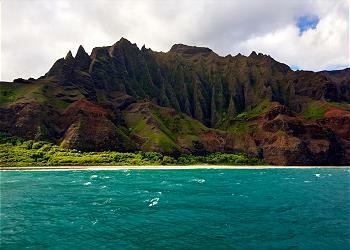 He was sweet, welcoming, and very knowledgeable about the island. He gave us great suggestions when it came to beach locations and dinner options. 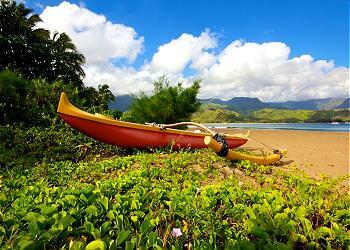 Hanalei Bay is a great location to stay. We could walk to dinner from our cottage. 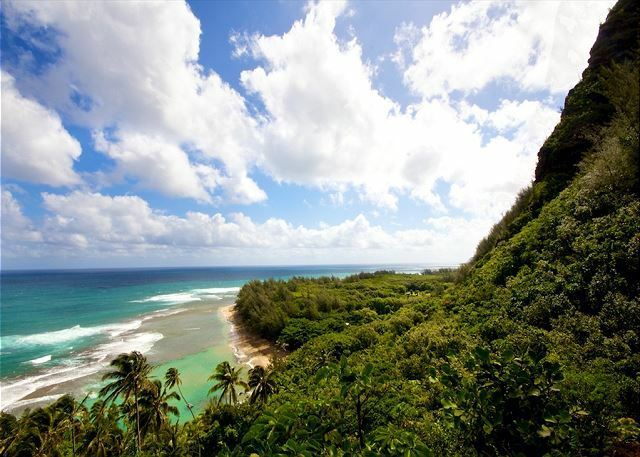 Staying here at the cottage was by far a much better choice than any hotel/resort for a true Kauai experience. We highly recommend Dolphin Cottages. We will be returning in the future! Had a great time on the river. 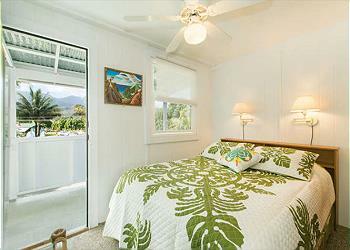 The cottage was nice place for my wife and I to stay in Hanalei. 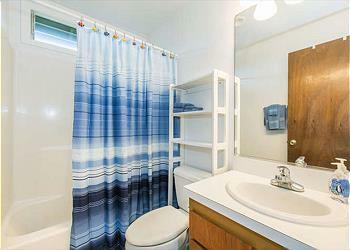 Probably would be a little tight for 4 adults but 2 adults and children would be fine sharing the 2 bed 1 bath. Could hear plenty of traffic on the main road during the day but at night was fine. Biggest complaint was sound of renovations being done next door. The sound of power tools throughout the day was not at all pleasant. 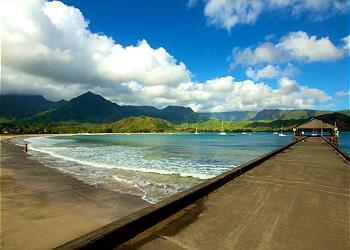 Easy walk to restaurants in Hanalei. We enjoyed staying here. The place is charming with a great view of the river. All the basic necessities are here. The only drawbacks: one of the bed mattresses is too worn out and squishy, you can hear your neighboring cottage really well so better hope they are not loud and insensitive like ours were. The property manager is super nice and responsive! 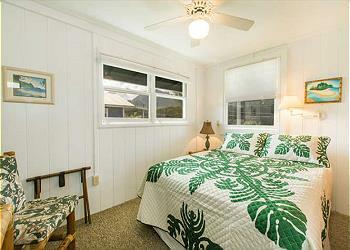 Great location in the small town of Hanalei, 10 minutes walk from the beach, accommodations were comfortable and clean. Full size kitchen and dining. Well equipped for a great vacation. 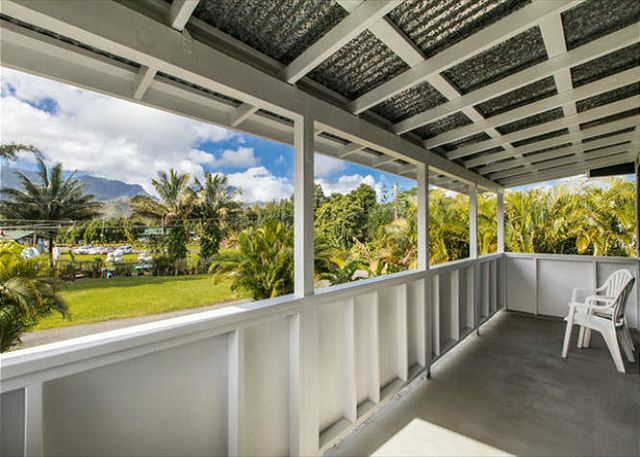 Great location to walk to town, launch your kayak and/or paddleboards in the Hanalei River. 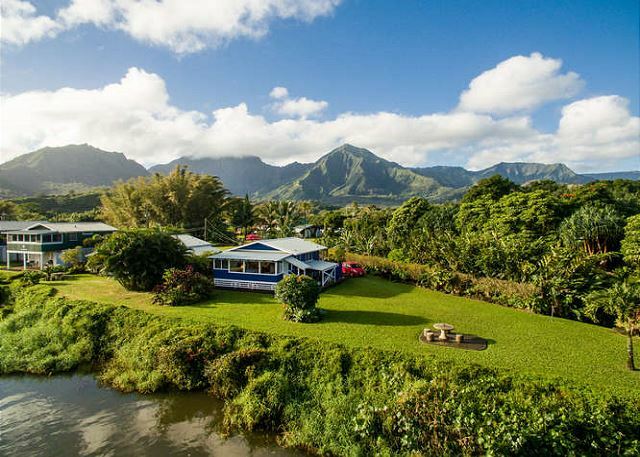 Cottage is very nice and on the very beautiful Hanalei River. All was great for us except rug was dirty and pillows eeded washing. On the good side, everything else was clean and nice. 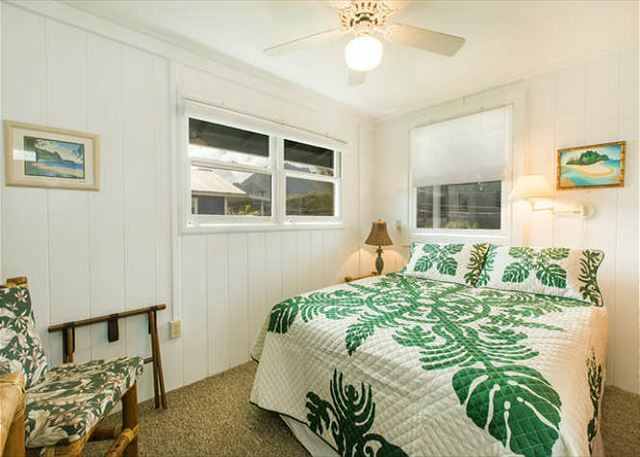 Fantastic location and a well equipped cottage with all beach and kitchen amenities made our stay great and we look forward to coming back. 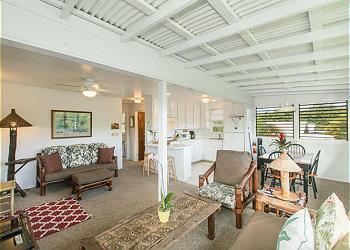 We had a fabulous time staying at the Dolphin Cottages ion the Hanalei River. 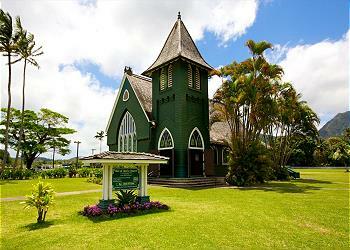 They are charming and well located. 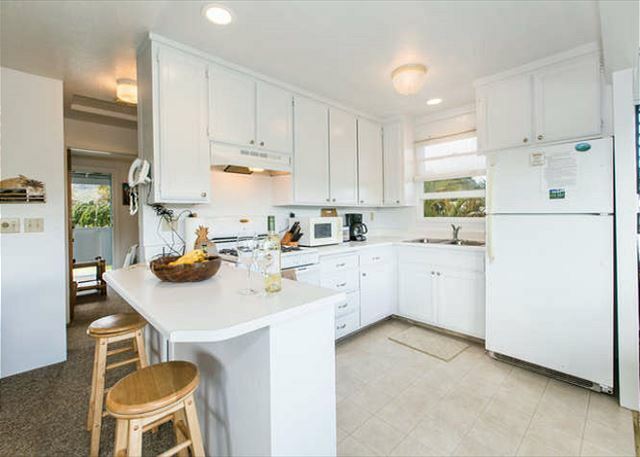 Very nice and convenient access to the area. The house was clean, comfortable beds and perfectly located. I would come back to the Dolphin Cottages again and again. We love these cottages. We have stayed a number of times over the past 10 years. It is our go-to place. 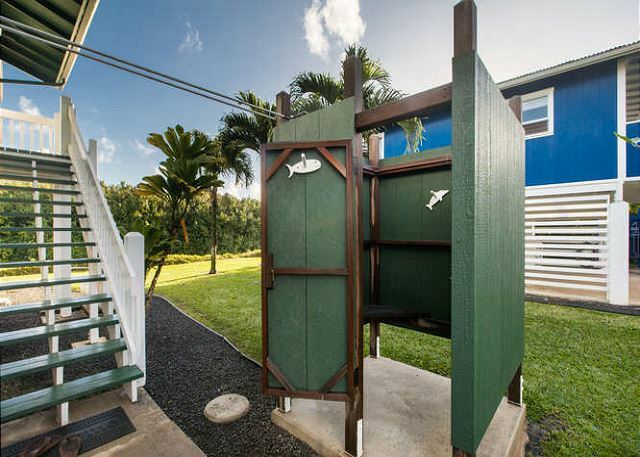 We love the outdoor showers - ahhhh just thinking about them. Washer/dryer access is key. 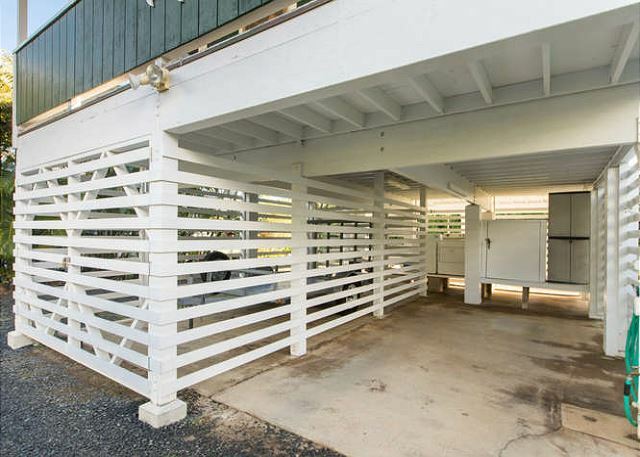 We also love the access to the river and the ability to store the paddle boards or kayaks on site. No car carrying! The cottage provides everything you need. I forgot there was no coffee grinder but the property manager lent us his and said they were going to furnish all the cottages based on our request. How great is that!? Speaking of the property manager, he was awesome and responsive. I would absolutely recommend these cottages. We will be back! 1. The beds are fine but the couches and chairs are uncomfortable. 2. We stayed for 2 weeks. We would request a cleaning after 1 week. 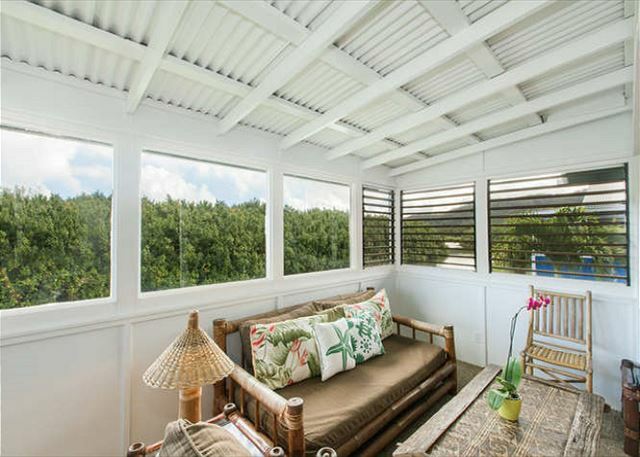 Dolphin Cottage III - amazing! Amazing experience all around - location, comfort, cleanliness, outdoor shower, service, etc. We all thought it was a great stay. We loved everything about it. Location is perfect too. I have no complaints and plan on definitely staying again in the future.